Walking around London is nothing new to me; especially when the weather is good…I don’t want to be stuck on a stuffy tube carriage when the sun is shining on lands surface! I recently walked from Oxford Circus to Brick Lane which is about 3.5 miles; it killed time, got me my vitamin D fix and saved me money! …Just yesterday I decided to run half of my journey home from the gym; it would mean catching (and paying) for just one bus instead of two! In Central London especially, the stations are so close together. 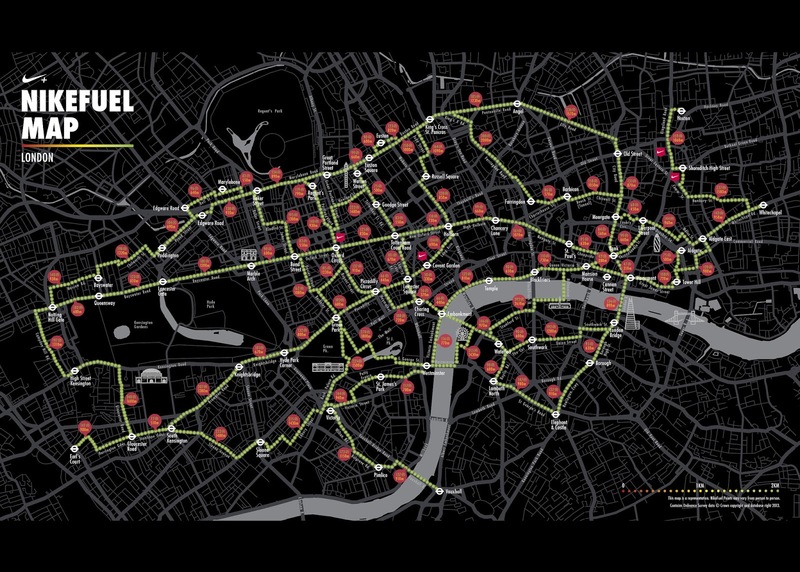 I pity tourists who don’t realise this and take the tube when its easier, quicker…and healthier to walk. So here Nike go again! 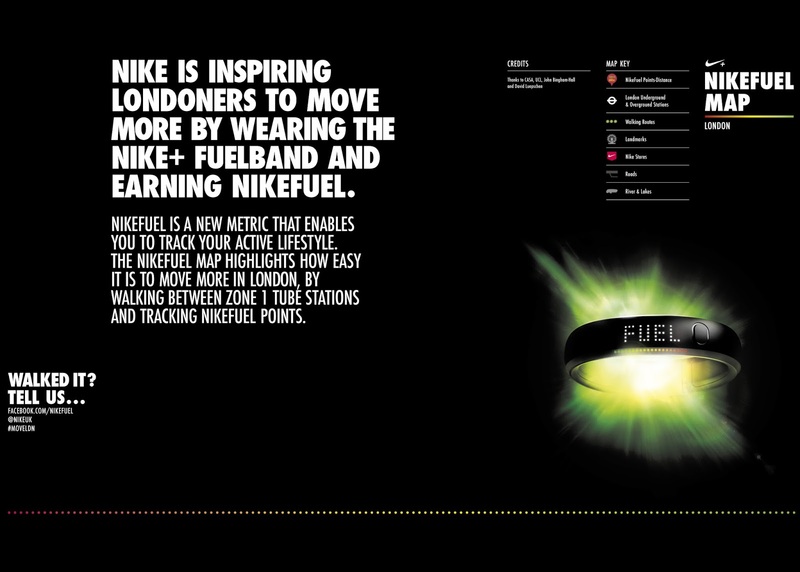 …They have created the NikeFuel Map to inspire people in London to get off the tube and discover London by foot above the ground! Remember what NikeFuel is all about?! The map shows you how much NikeFuel you would earn walking between zone 1 stations. 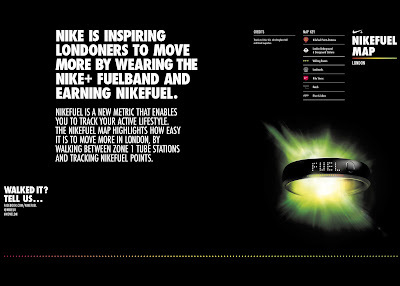 Have you got a Nike+ FuelBand?! Do you ever check out how much NikeFuel you earn doing certain tasks?! …or maybe you’re still considering getting one?! 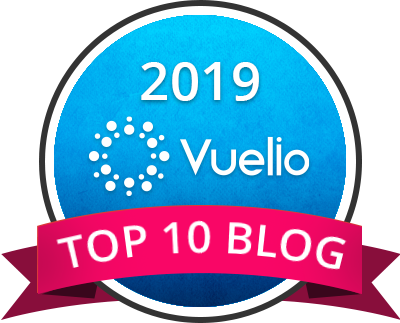 Leave your comments and let me know!